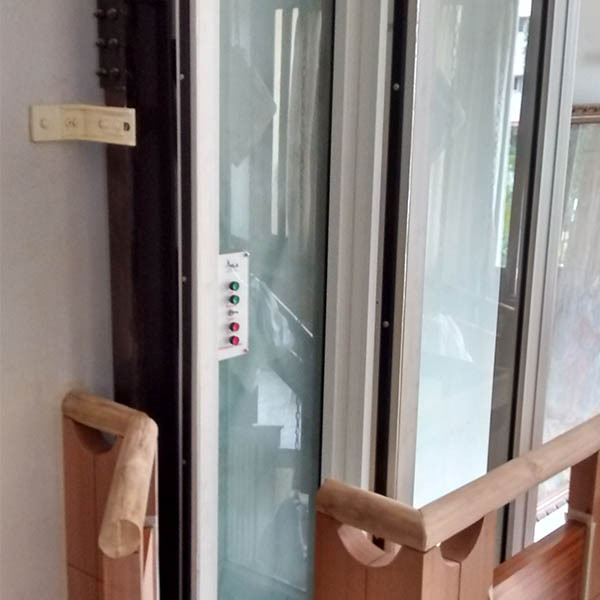 Ask anyone in the property business: lifts are an asset to the properties, opening up the home to a wider range of purchasers who may not have considered multi-storey homes due to age, health reasons or the need for specialized disabled access. 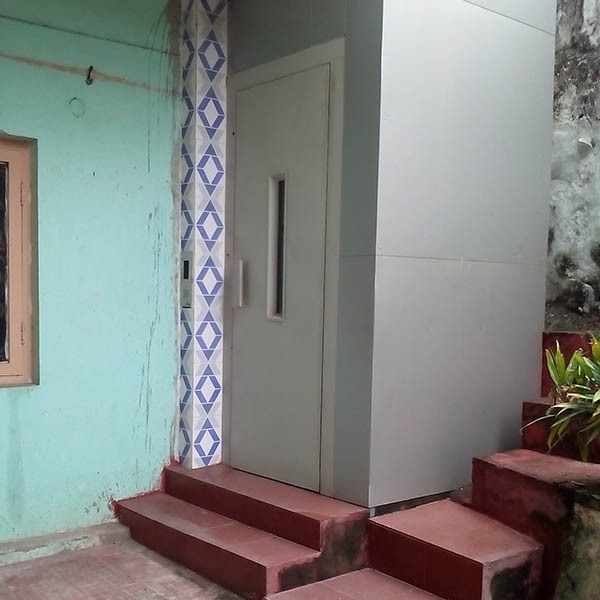 This is not only applicable to new properties, as our hydraulic lifts can be retrofitted in old buildings as well, as it needs minimal support of walls. 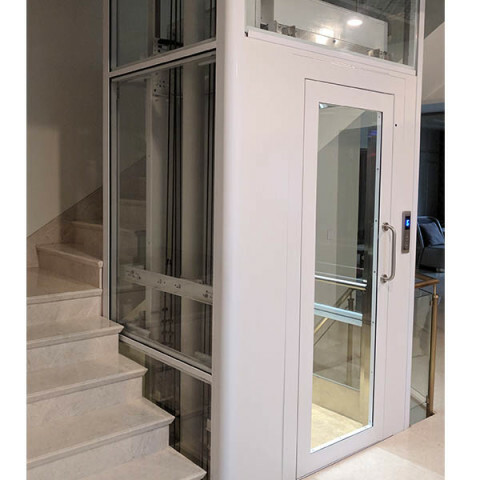 Designed to meet all your domestic vertical movement needs, it is the ideal alternative to stairs, giving you everyday peace of mind. 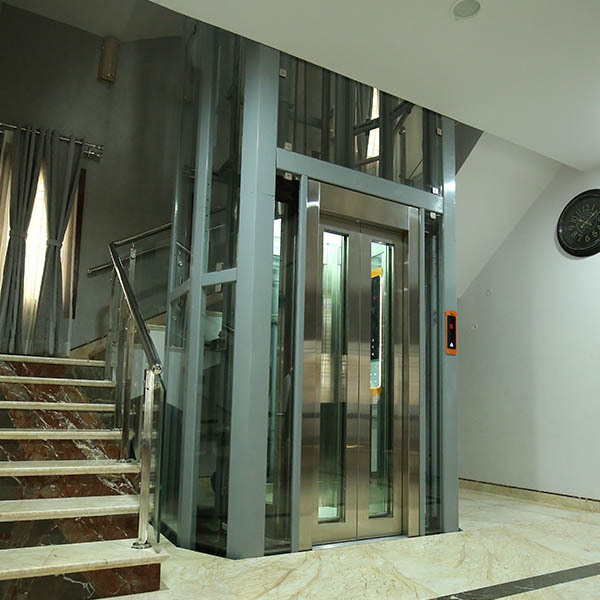 Our experience and know-how is combined with top-quality products, ensuring that the lifts are installed with minimum disruption and at an extremely competitive price. 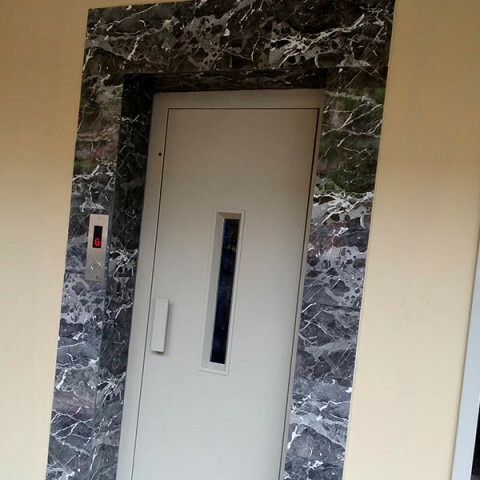 Our lifts do not require any overhead structure or room. A pit of 75 – 200mm is needed, which can be converted into a step if digging is not feasible. Our silent hydraulic power pack requires maximum space of 1000 x 500 x 2000 mm (LxBxH) and can be placed in any location on the ground floor. Do you already have somewhere to put your lift? 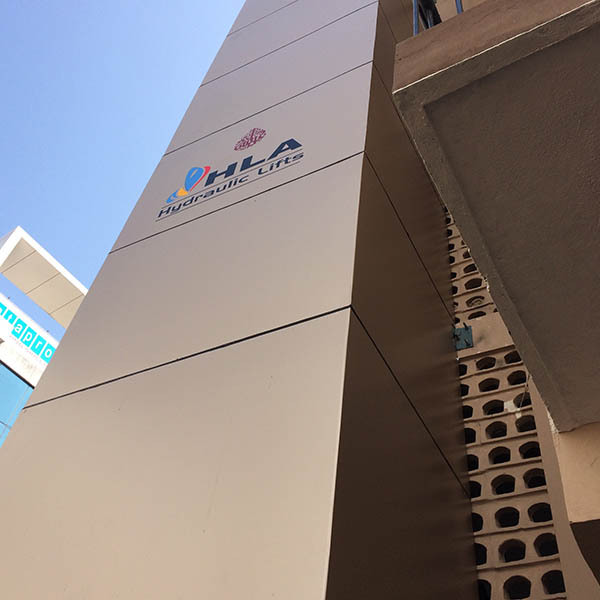 HLA Hydraulic Lifts will be made to measure for optimum use of all available space, thanks to our customized design service. Our team will find the best solution to fit your home. Is there no space available for a lift? No problem! Our lifts can be positioned almost anywhere and in any configuration with our metal structure shafts. ENHANCED MOBILITY If any member of your family, or yourself are facing mobility concerns, our home lift provides a great deal of freedom. 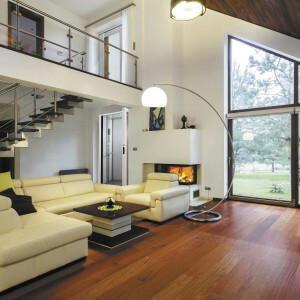 Visiting parents or relatives also have a smoother experience without a constraints caused by climbing stairs. 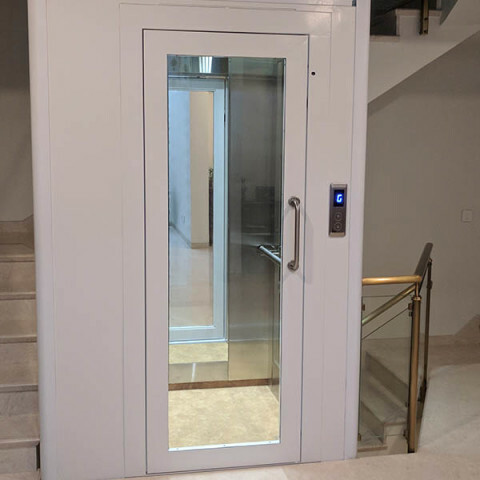 People can also opt for our lifts by anticipating future concerns, thereby being able to comfortably retire in the home they love. GREATER CONVENIENCE Routine, everyday tasks like carrying groceries, laundry and luggage become much easier with our home lift. MORE HOME VALUE Many owners build their homes with an eye on the home as a monetary asset in the long run. Adding our home lift greatly enhances that value as they are increasingly becoming an important part of home requirements. AESTHETICS Adding unique features and designs, along with a choice from our range of materials for your home lift can give your home the X-factor, something you can enjoy every day in the comfort of your home. 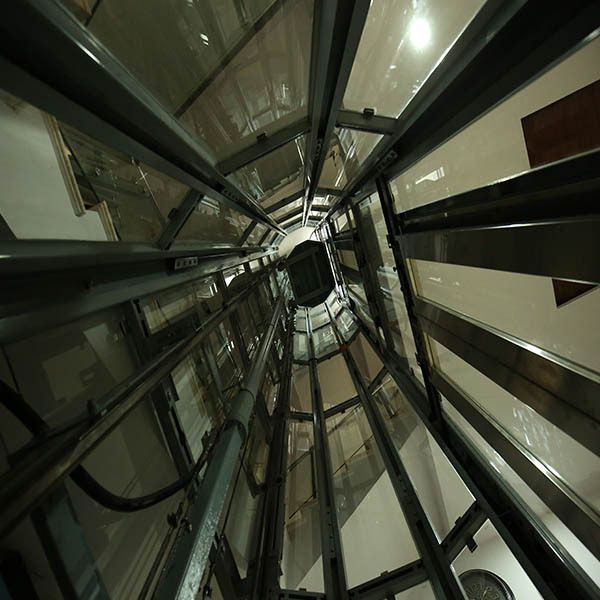 REDUCED COSTS When our lift plan is incorporated during the construction stage of your new home, it significantly reduces the cost of construction of a lift shaft. A lift can offer many benefits. 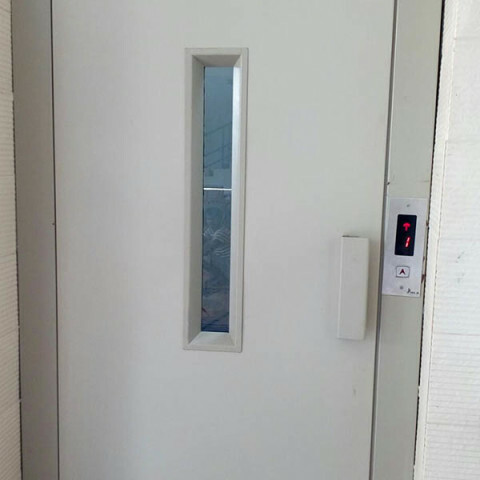 The homeowner’s primary decision would be based on the number of floors, automatic or manual doors and number of passengers the lift is required for. 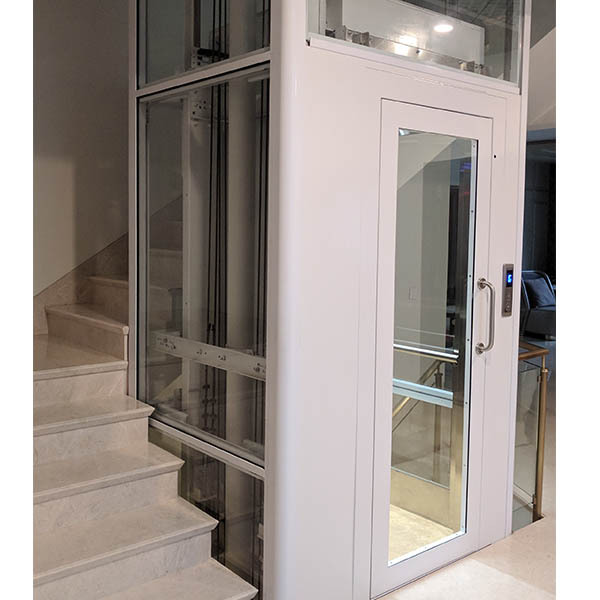 At HLA, we offer hydraulic lifts for up to 5 stops (45 feet) with a provision of multiple entry and exit directions and a wide range of cabin sizes. 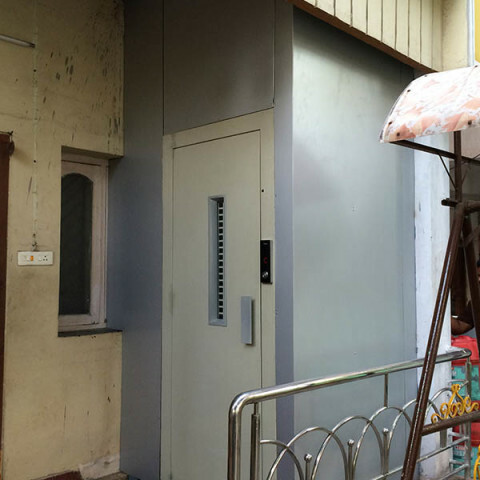 Lifts may sometimes require structural modifications to an existing home. In either retrofit or new construction, pre-planning will help simplify your installation and trim your budget. With our custom design service, we are able to optimize our cabin sizes to suit any available space. 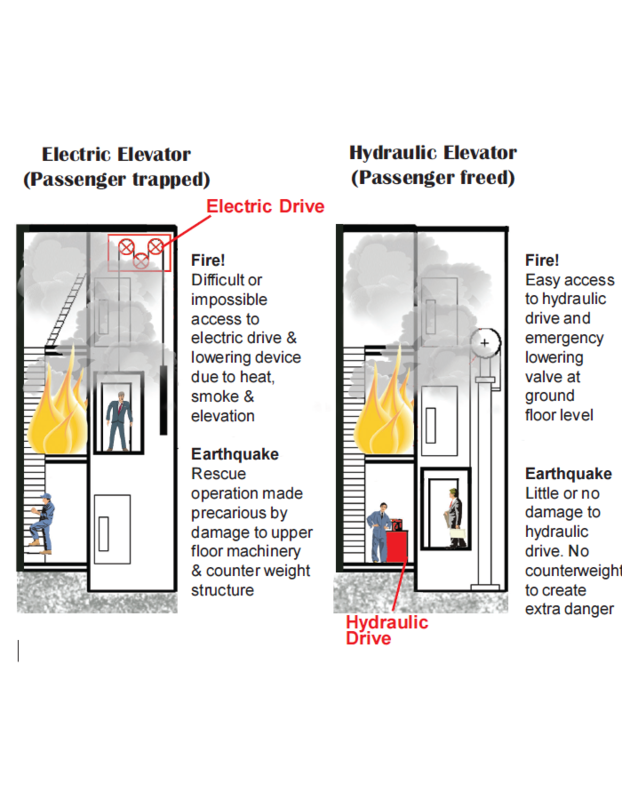 Safety and reliability are critical with regards to the design and use of your home lift. 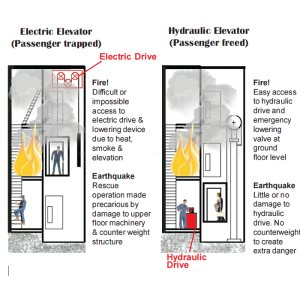 Homeowners should review all safety related information prior to selecting the type of home lift. 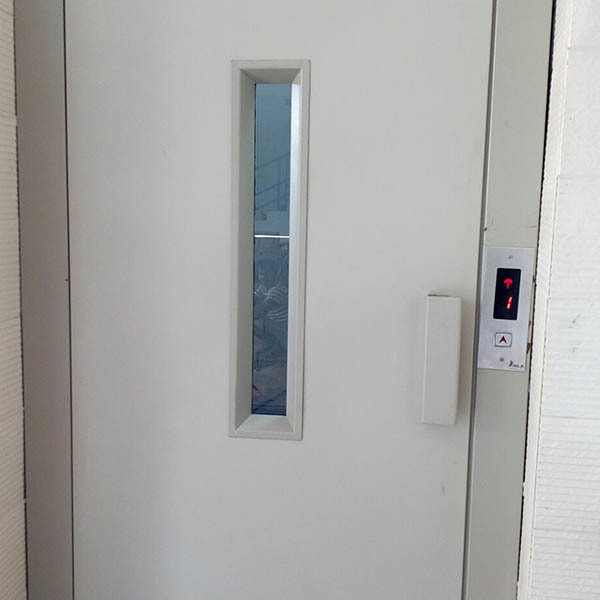 At HLA, we use only the best components in a system designed to disable the use of the lift in the event of a lapse or compromise in any of the numerous safety aspects. It will be important to regularly inspect and maintain your lift to ensure safe and trouble-free performance. Timely maintenance also increases the life of the lift significantly. 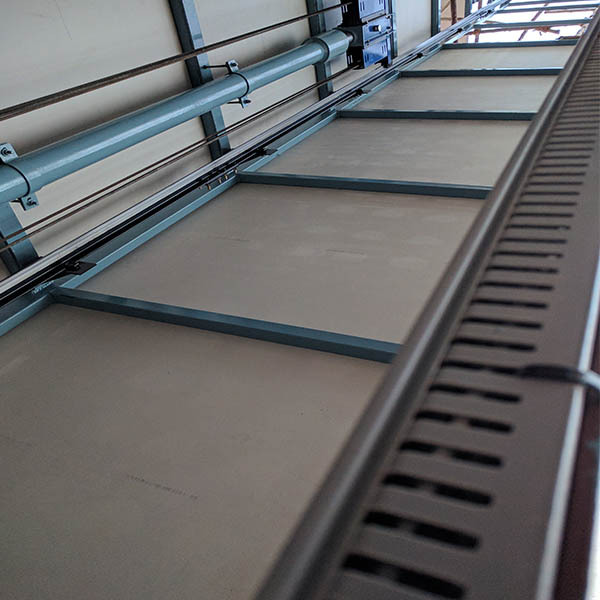 HLA Hydraulic Lifts are equipped with self-lubricating systems and backed up by a comprehensive, transparent maintenance package which is suitable for all types of installations. It is important to ask about ride comfort and quality of operation. HLA offers a range of hydraulic drive systems to meet every budget and operating standard for stability, speed, durability and reliability. 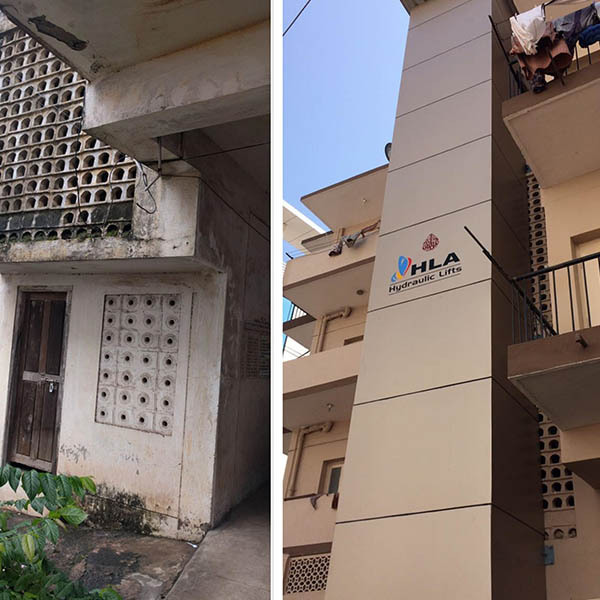 Your HLA Hydraulic Lift is secured with a 3-year warranty — one of the many reasons more homeowners, architects and builders recommend our lifts with confidence. Once all the above parameters are to your satisfaction, the question of price arises. As with any capital purchase, the cost benefit has to be compared over the lifetime of the product. HLA Hydraulic Lifts are available in a wide range to fit every budget and design taste, all the while ensuring that you receive the highest value for your investment. 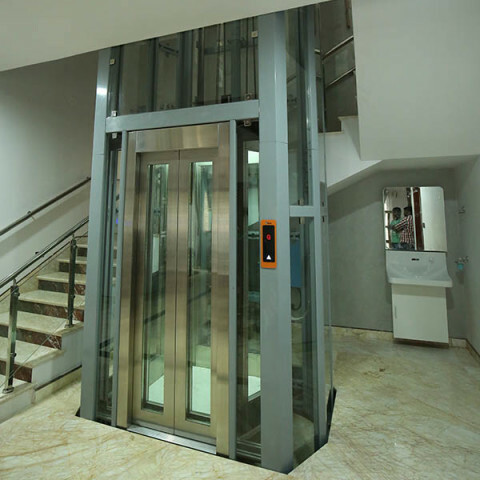 All our lifts are designed with standard and optional features. Each model provides safety, comfort and convenience. Optional features can enhance performance, or add to your design choices. 20% – 30% MORE SPACE • Smaller space requirement in the shaft due to counterweight-free design. 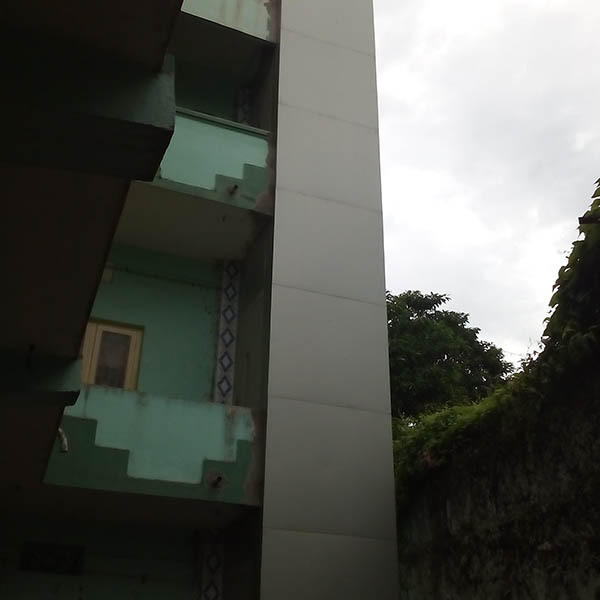 • Uneven leveling found in the Traction Lift – upto ± 75mm in low-rise buildings. • Technicians can work on the drive from outside the shaft. They are consequently not exposed to any hazard and thus save time • Heavy wear on traction sheave and ropes. • Complicated work procedures, and hazardous working situations. • Long repair and maintenance times. • Hydraulic lifts are particularly suitable for projects where retrofitting is involved. 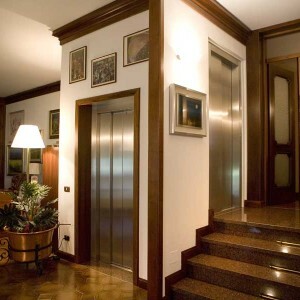 • Our lifts are designed as per available space requirements of the homeowner. • The drive system in the shaft head is difficult to access and assembly work is hazardous. • Shaft needs to be made exactly as per manufacturer specifications. 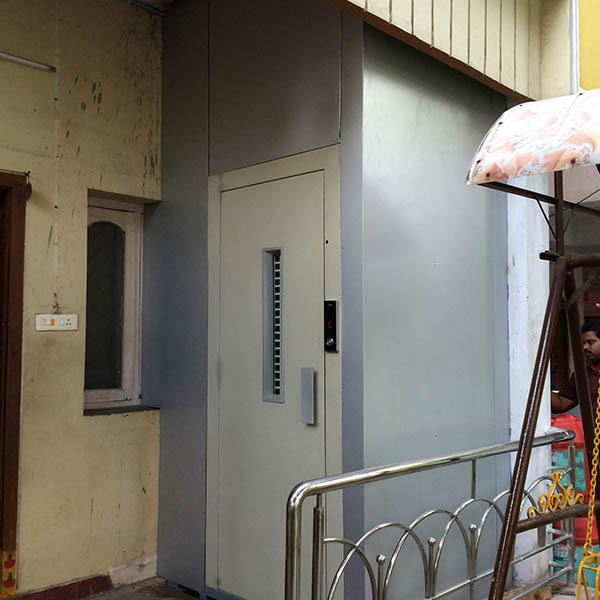 MORE VALUE • For low-rise buildings, the cost effectiveness of hydraulic lifts is virtually unbeatable. • Very high costs for service and replacement parts.